Dottir Attorneys is an agile, full-service business law firm, with focus on companies that operate in or around the fields of technology and media. Dottir’s lawyers are recognised experts within their practice areas and experienced in serving clients of all sizes. Dottir continuously advises clients in different kinds of corporate transactions ranging from private equity and industrial M&A transactions to venture capital financing rounds, covering all stages of the deal: from strategy and due diligence to contract negotiations and regulatory filings. We also assist clients in day-to-day corporate administration by drafting and maintaining corporate documentation and providing board advisory services. Dottir's lawyers specialize in advising both users and suppliers of information technology on various legal matters. We provide services relating to IT outsourcing, IT procurement and supply, software licensing, as well as regulatory compliance. Our lawyers are leading experts in the field of information security and data protection law. We advise on company policies, regulatory and compliance matters, security audits, and international transfers of personal data. Dottir provides employment law services ranging from drafting employment and management contracts and share option and benefit schemes to providing advice on employment termination, employee consultation obligations, and employment law issues deriving from corporate transactions and outsourcing. We know brands and how to build and protect them. We offer clients a wide range of IP services, such as trademark registration, design protection, brand management, and IP strategy. We also help companies commercialize their IP by negotiating and drafting license, distribution, and partnership agreements. We assist our clients in litigation, arbitration, and mediation, with a particular focus on technology, intellectual property, and contract-related disputes. We have a strong track record in helping our clients negotiate settlements in complex disputes. Dottir's lawyers are experienced in providing the public sector with advice both in compliance and contractual issues, including negotiating agreements relating to public procurement. Our lawyers provide companies operating within the regulated fields of biotechnology, health care and energy with a wide range of contractual and marketing law advice, covering issues such as labeling, authority enquiries, distribution, and intellectual property. Our lawyers help startups through their entire life cycle and all stages of growth, from formation, to raising capital, expanding to new markets, and successfully exiting. Dottir represents private equity investors, industrial clients, and venture capitalists in all types of domestic and cross-border transactions. We provide our clients that operate in the fields of ICT and the Internet with a full range of business law services, including negotiating license and IT supply agreements, as well as tackling telecommunications regulatory compliance and consumer and data protection issues. Dottir advises media, sports, and entertainment companies on regulatory issues and contract negotiations relating to matters such as financing and production, as well as rights acquisition and licensing. Dottir assisted Varma, the largest pension insurance company in Finland, in renewing their pension decision documents. Varma also acted as the main sponsor of Legal Design Summit 2017. Slush is the Northern Europe’s largest tech startup event, organised in Helsinki, Finland. The two-day conference takes place every fall in the wintery Scandinavia amidst one of the most dynamic tech ecosystems in the world. Dottir advises Slush on their international expansion. Dottir assists Unit4, a global software company with revenue of MEUR 500, in their legal matters in Finland. Haahtela Group offers high-end consulting services and software products in the fields of construction, real estate and human resources. Their offering includes leading economic management, project management, real estate management and workforce management software products. Dottir advises Haahtela Group in the protection of their strategic IP assets. Dottir acts as general legal advisor for Kemijoki Corporation, the most important producer of hydropower and regulating power in Finland. 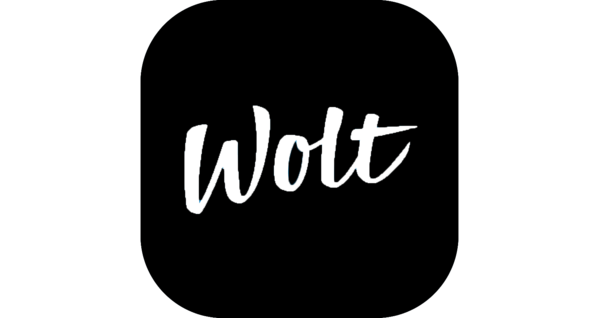 Wolt is the world’s smoothest mobile interface for getting great food. Dottir assists Wolt in their legal matters. Dottir Attorneys advises Kindred plc in Finland in their legal matters, especially relating to intellectual property and digital strategy. Kindred is one of Europe’s fastest growing online gambling companies with more than 1,100 employees working across 13 markets. Umbra’s 3D optimization technology has been powering up over 125 games in almost ten years, including Call of Duty: Advanced Warfare, Batman Arkham Knight, The Witcher 3: Wild Hunt, Quantum Break, World of Tanks and Destiny. Dottir advises Umbra in protecting and licensing their state-of-the-art technology. Dottir Attorneys advises HundrED in their legal matters. HundrED is an education initiative that will seek and share 100 inspiring innovations in K12 education every year. HundrED aims to be the world’s leading expert in K12 educational innovations by 2020. Blueprint Genetics is genetic knowledge company that provides comprehensive genetic testing services based in San Francisco, Helsinki and Dubai. Dottir assisted Blueprint Genetics in their corporate law and agreement matters. Dottir advised Inderes and its founders when Taaleri acquired a 40% ownership in Inderes. 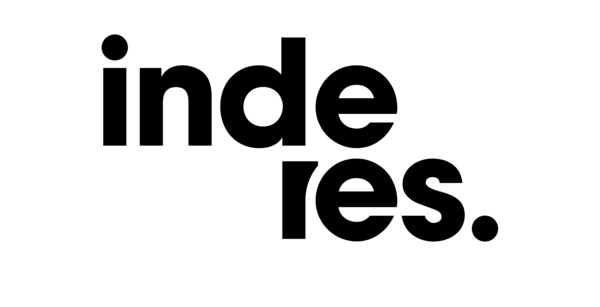 Inderes provides top-level market research, company valuation, in-depth financial analysis and competitor analysis services. PL’s mission is to promote responsible ownership that develops businesses through generations. Its 430 member companies account for a total revenue of EUR 33.6 billion a year and employ 165 000 people. 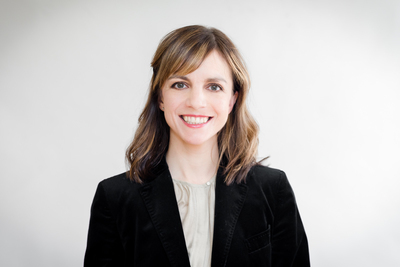 Dottir has helped PL and many of its members in variety of legal issues. 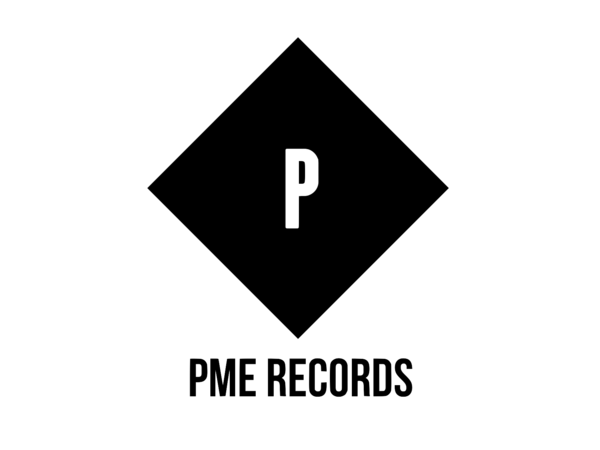 Helsinki-based record label PME Records hosts some of the freshest talent in hip-hop and electronic music in Finland, such as JVG, ALMA, Tippa-T, Elias Gould and Gracias. Dottir Attorneys helped the coolest record label in Finland to secure and protect their intellectual property assets. Rabbit Merchandising provides innovative design services and licensing opportunities for forward-looking companies. Their long list of clients includes the Finnish state-owned postal service, Posti Group Corporation and one the largest jewelry manufacturers in northern Europe, Kalevala Koru Oy. The IP portfolio of Rabbit Merchandising includes the award-winning extreme comedy show The Dudesons, which has been broadcasted in over 150 countries. Dottir Attorneys assists Rabbit Merchandising in capturing the full value from their brand portfolio. Fisher King is a leading Finnish production company producing drama series and feature films. Dottir advised Fisher King in financing, copyright and contractual matters related to the television series ”Bordertown II/Sorjonen 2”. 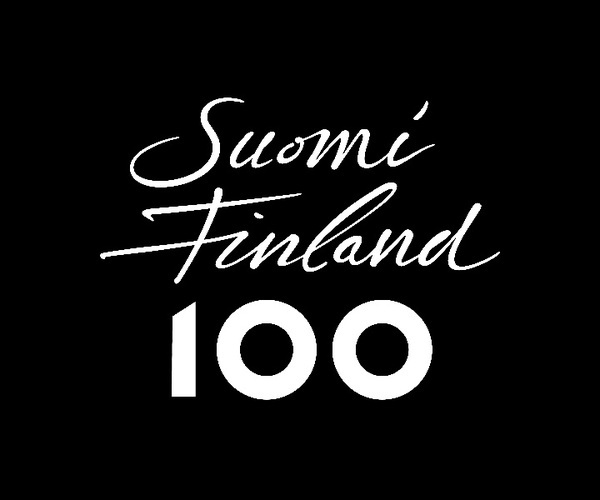 Finland celebrates the centenary of its independence in 2017. Dottir Attorneys advised the Finland 100 project secretariat at the Prime Minister’s Office in legal matters and privacy issues regarding the Finland’s Faces online application. The Finland’s Faces application is open to anyone wishing to modify a selfie or face portrait into a unique, blue-and-white cartoonised version using different filters. 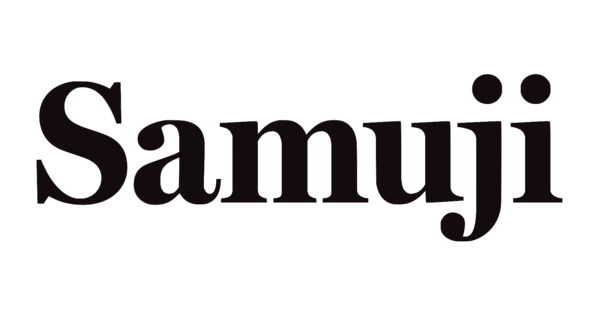 Gimmeyawallet Productions is the company behind the award-winning tv-productions Madventures, Docventures and Sound Tracker. Dottir assists Gimmeyawallet Productions in international brand protection and contractual matters. 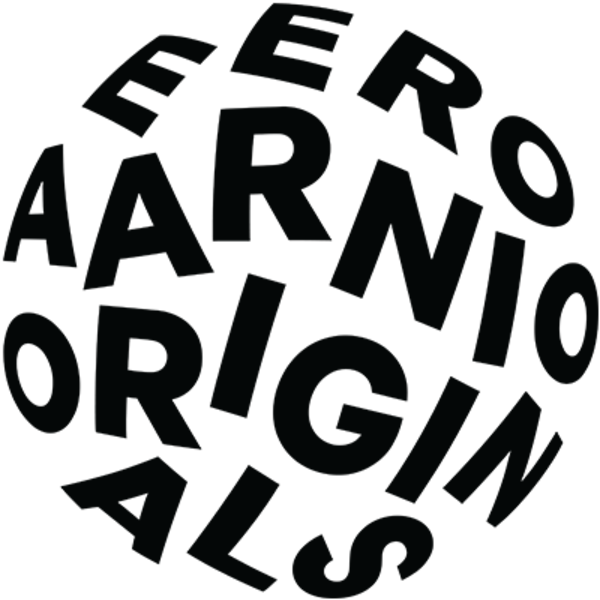 Dottir Attorneys represents the legendary Finnish designer Eero Aarnio and Eero Aarnio Originals in their fight against counterfeits and cheap Ball Chair replicas. Dottir assists Samuji, a Helsinki-based creative studio and design house. Samuji produces timeless and sustainable design that serves a purpose yet carries a story. Their collections are sold in their own stories in Helsinki and New York and through selected stockists in Europe, Asia and America. Flow Festival is a one of Europe's most acclaimed festivals, with more than 60000 visitors. The 2018 festival line-up included artists such as Kendrick Lamar, Arctic Monkeys, Ms. Lauryn Hill and Patti Smith. Dottir assists Flow Festival in all their legal issues, including trademark issues, contractual issues relating to intellectual property and commercial contracts. 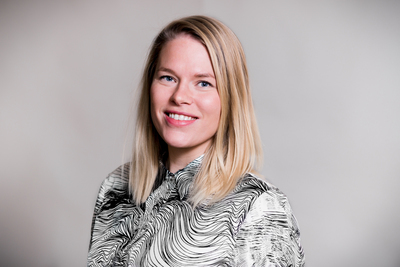 Dottir advised Vito Ventures in the EUR 1.5 million Series A funding round of Wirepas Oy, a global device connectivity provider. Vito Ventures is a Munich-based global early stage Venture Capital fund investing in the fields of Internet of Things, Enterprise Tech and Energy Tech. Dawn Capital is a London-based early stage venture fund. Dawn's team is made up of founders, experienced VCs and business builders with strong track records in Fintech and B2B software. Icebreaker.vc is a €14 million VC fund based in Helsinki with a special focus on early-stage startups. Dottir advises Icebreaker continuously in their investments. 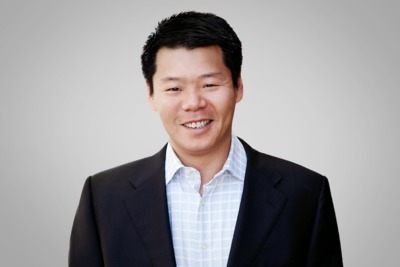 MAKI Ventures the go-to VC for early-stage entrepreneurs committed to building the next big thing. With a fund size of 75,5M€, MAKI focuses on early-stage investments without any specific sector focus. Dottir advised MAKI Ventures in both establishment of their fund and in several of their investmens. Dot., the Helsinki-based legal design consultancy, launches a new office in one of the design capitals of the world: Paris. Legal Design is an approach that combines the lawyer’s legal expertise with the designer’s mindset and the possibilities of tech to make legal processes, systems, services and environments more user-friendly and engaging. Faced with growing demand for Legal Design services, Dot. launches its Paris office, led by a former EMEA general counsel and Magic Circle European law specialist Marie Potel-Saville. Dot. already has a track record in redesigning privacy policies, complex contracts and legal processes. The launch of this new office will enable the agency to expand its offer to pan-European projects, such as compliance. “I applied Legal Design as a General Counsel and could see the value created both for the business teams and the legal division: the user-centric approach guarantees effective implementation of legal solutions and the iterative process enables agile adaptation to ever-evolving business and legal environments. Legal Design closes the gap between the law and those who have to apply it in-house”, says Marie Potel-Saville, Founder & CEO of Dot.’s Paris office. Legal Design powerfully transforms the way legal information is communicated. It is also a driver for change in courts, law firms and legal departments – to shift paradigms and promote more nimble, collaborative and innovative cultures. “With the expanded global presence, we aim to assist other global companies, educational institutes, governments and law firms and help them to bring law to the digital age”, says Meera Sivanathan, the Lead Legal Designer of Dot. Dottir launches a new Legal Tech and Legal Design brand, Dot. 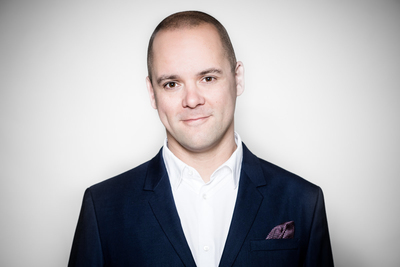 We are very happy to announce that Daniel Stranius will be joining the Dottir family as a Specialist Partner. 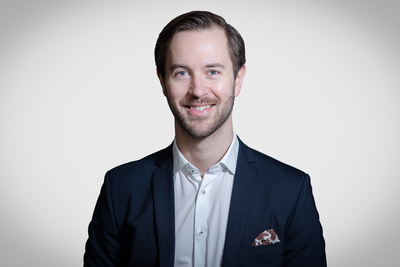 Daniel is an acknowledged technology lawyer whose background includes working both in 1st tier tech law firms and most recently as an in-house counsel for the biggest IT service company in the Nordics. 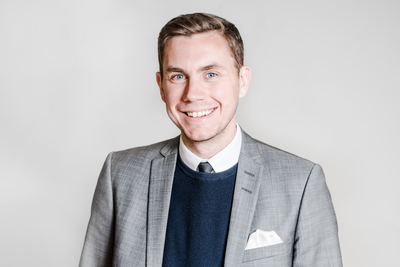 The last 2 years Daniel has lived and worked in Stockholm and has therefore gained knowledge and experience from two strong technology focused markets. 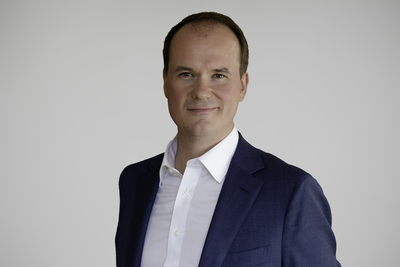 “Daniel will strengthen especially the IT and Technology practices of Dottir and bring his extensive in-house experience for the benefit of our customers in the fast-paced tech market”, says Antti Innanen, the Managing Partner of Dottir. ”I could not be more thrilled about joining Dottir and in taking this next step in my career. I look forward to returning to the advisor’s role and to start working with Dottir’s impressive client base and expand it further. My in-house experience together with my business-oriented approach will be a great asset in this journey” says Daniel. We welcome Daniel who will start his Dottir journey in early April! Dottir Attorneys is a law firm that is stripped of the nonessentials. We provide our clients with a full range of business law services, with an emphasis on technology law: our lawyers are specialized in advising both users and suppliers of information technology on various legal matters. We are convinced that a team of ambitious professionals is more powerful than a hierarchical organisation that feeds off titles and internal competition. We believe that by encouraging teamwork we increase the quality and efficiency of our services. We believe that lawyers tackling the increasingly complex legal questions faced by today's companies must have a profound understanding of modern business and technology. Dottir Attorneys is a team of tech-savvy lawyers who think lawyers should be approachable instead of formal, and forward-thinking instead of stagnant. Our lawyers are based in Helsinki, Berlin and San Francisco. Modern business is increasingly global, irrespective of industry. We believe that the lawyers serving these businesses should be as well. Dottir is an affiliation of independent legal entities and attorneys providing legal services in separate jurisdictions. Each office is established and operates on a local basis in accordance with the laws binding in its home country and state. 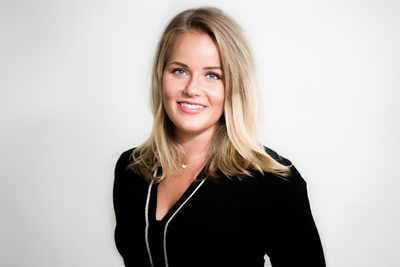 Minea is a Finnish lawyer working with startups at Dottir San Francisco in California, USA and advising companies in the transfer of business from Europe to the US. Her previous work experience includes working in a Chinese law firm in Beijing, China with helping Finnish companies enter the Chinese market as well as advising banks and brokers with financial law and securities trading in New York, USA. Pietari is a corporate attorney qualified to practice law in California, USA. He represents startup and expansion stage companies, as well as investors and acquirers, in corporate matters from formation, to venture financings, commercial agreements, international expansion and exits. Antti advises clients on questions related to intellectual property and brands, as well as on complex data protection and cyber security related matters. Antti has extensive experience in the field of trademarks and branding, especially with international brand protection. Antti is a pioneer in the field of legal innovation and he is a frequently requested presenter at various legal tech and legal design seminars such as Legal Geek, Legal Hackers and JDHorizons. Samuel specializes in employment law and dispute resolution. In addition to representing employers in litigation and negotiations, Samuel’s daily work consists of advising employers on all types of personnel issues, such as matters relating to recruiting, terms of employment and benefits, employee data privacy, company restructurings as well as terminations of employment for both individual and collective reasons. Before joining Dottir, Samuel worked nearly seven years as an attorney in Dittmar & Indrenius. Prior to that, he worked as a lawyer in Service Sector Employers PALTA, one of the largest national employers’ organizations in Finland, taking part in collective labour agreement negotiations and worked closely with the HR personnel of PALTA’s member companies. Due to his professional background, Samuel has a deep understanding not only on employment legislation but also on collective bargaining agreements, Finnish labour market system and local labour market dynamics in working places. Samuel has been ranked in the field of employment law by Legal500 and Who’s Who Legal. Paula is the Office Manager of Dottir. 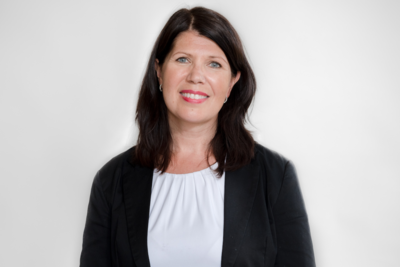 Paula organises and coordinates all administrative activities and office procedures of Dottir. Paula has previously worked at Nokia Corporation and Microsoft Mobile as an Executive Assistant. Paula brings her long expertise from bigger companies to Dottir and ensures the smooth running of our office. Pihla advises clients mainly on various contractual matters as well as on data protection and copyright related matters. 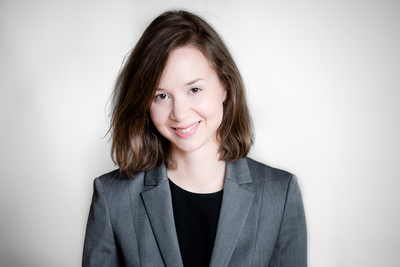 In addition to her LLM studies at the University of Turku, Pihla has studied law at the University of Verona in Italy. 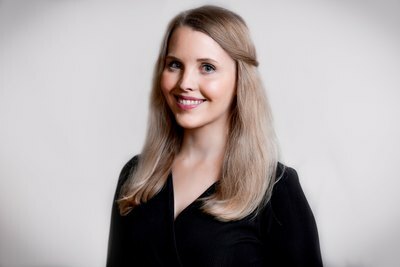 Prior to joining Dottir Pihla has worked as a legal trainee in some of the major Finnish law firms as well as in the Finnish Musicians' Union. Tiina advises clients on intellectual property matters and brand protection matters. 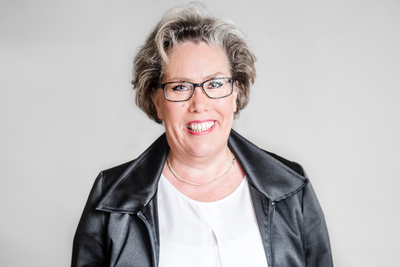 Tiina has extensive experience in managing trademark and design portfolios for clients of all sizes. Prior to joining Dottir, Tiina worked in the IP team of a major Finnish law firm. Tiina holds a Bachelor of Business Administration degree from Haaga-Helia University of Applied Sciences. Kristina advises clients on data protection law, ICT contracts, information technology, corporate law and commercial contracts. She has been certified as an international privacy professional (CIPP/E). 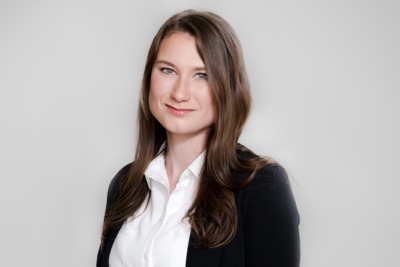 Prior to joining Dottir, Kristina worked as an in-house lawyer at a technology company. Anna advises clients on dispute resolution, corporate and contractual matters and intellectual property, with particular focus on sectors involving culture, media and arts. Before Dottir, Anna worked as a lawyer in another Finnish law firm, where she was part of the firm’s dispute resolution practice, acting as a counsel in civil litigation and arbitration. Roman is an attorney qualified to practice law before the US Department of Homeland Security, Department of States, and the Department of Labor. Roman regularly advices U.S. and international businesses, investors, startup founders, entrepreneurs and professionals authorized to live and work in the US. Jaakko assists clients in technology law acting for both technology users and suppliers in the private and public sector. He regularly advises domestic and international companies on a broad range of technology law matters such as IT outsourcing, procurement and delivery of business-critical IT systems and services, software and IP licensing, e-commerce, data protection and telecommunications regulatory matters. He has had a leading advisory role in multiple technology-driven M&A transactions and in venture capital investments in technology companies. 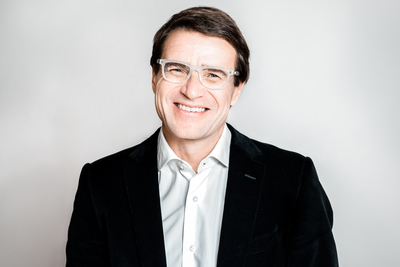 Jaakko has also been acting as a member of the board of several growth companies. Jaakko is the former Chairman of the Finnish IT Law Association and a frequently requested chairman and speaker at various technology law seminars. Prior to Dottir, Jaakko worked as a legal counsel at the Finnish multinational IT corporation Tieto and as an attorney at Castrén & Snellman Attorneys. Iiro advises clients on intellectual property, strategic IP planning, brand protection, information technology and commercial agreements. Iiro has extensive experience in the field of intellectual property, trademarks and IP strategy. 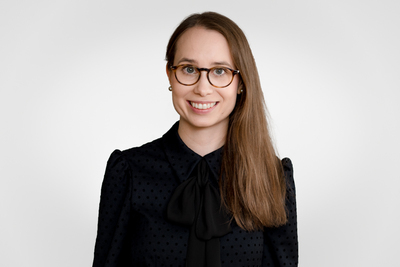 Prior to joining Dottir, Iiro worked as an IP lawyer in a leading Finnish IP house as well as in the legal department of a listed IT provider and software house. Juha is known for his client-centric, business-minded approach to transactions and dynamic deal making capacity. In addition to his extensive M&A experience he also has experience in capital markets transactions, especially of IPOs and public tender offers. Before joining Dottir, Juha worked more than five years at Dittmar & Indrenius, of which one year as a partner. Prior to that, he worked at another Finnish law firm and at a Finnish investment bank. Juha is ranked as a ‘Rising Star’ in Capital Markets and M&A in Finland by IFLR1000 Financial and Corporate 2019. 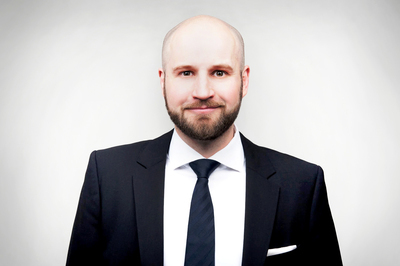 Jukka specializes in contracts and litigation with particular focus on the ICT and media sectors. He assists domestic and international technology vendors as well as customers acquiring technology products and services. He also regularly advises on technology intensive public procurement engagements and M&A transactions. Jukka is an experienced litigator with a strong track record in court mediation proceedings and out-of-court settlements. Before Dottir, Jukka has worked for his own business law boutique as well as with law firm Dittmar & Indrenius. He has also gained experience as a Trainee Judge at Helsinki District Court and as a secondee at one of the world's largest consulting, technology and outsourcing companies. Bea advises clients on various intellectual property matters, contractual matters and data protection related matters. Before Dottir, Bea worked in one of Finland's major law firms. Bea has also worked in the European Intellectual Property Office (EUIPO) in Alicante, Spain. She has extensive experience in the field of intellectual property and trademarks. Elle advises clients on private equity and venture capital investments, mergers and acquisitions as well as corporate and contractual matters. 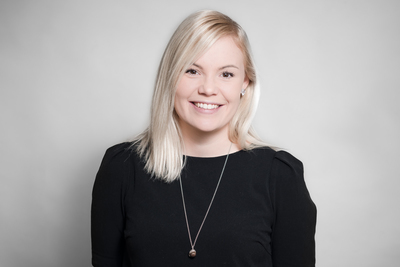 Prior to joining Dottir Elle has worked as an analyst in a Finnish private equity firm and as a trainee in some of the major Finnish law firms. Elle holds an LLM degree from the University of Helsinki and has completed exchange studies in the University of Montpellier 1. Johanna has several years of experience in assisting companies of all sizes in various technology and media related legal matters, ranging from commercial contracts and regulatory advice to transactions and corporate law questions. Johanna's practice is focused on technology and intellectual property as well as media and data protection law, covering for example technology procurement and supply and IP acquisitions and licensing arrangements. Johanna has particularly extensive knowledge of copyright law and regularly lectures on the subject. 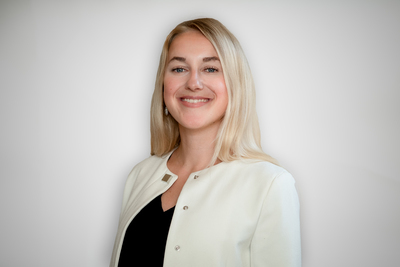 Before Dottir, Johanna worked in the Technology, Media & Telecommunications and M&A & Private Equity practices of Borenius Attorneys. Johanna has also worked as a secondee at the Finnish advertising technology company Kiosked. Juha advises clients on employment law. Juha is a business-minded lawyer with extensive experience on clients’ employment law related day-to-day needs. 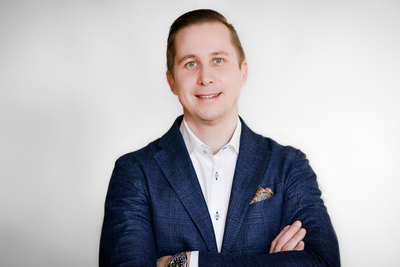 Besides legal and HR related knowledge, Juha has gained valuable insights from board memberships and other positions of trust. 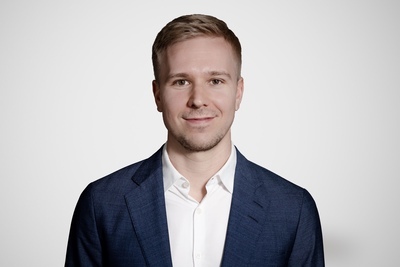 Prior to joining Dottir, Juha has worked in several in-house roles at VR Group Ltd., including Head of HR Legal and HR Manager for two of the Group's business divisions. Besides his in-house experience, Juha has also worked for employer unions as a specialist. Katariina is a Finnish lawyer working as a paralegal in Dottir's San Francisco office. Before moving to the USA, Katariina worked as a lawyer at the Appeal Board for the Government of Finland. In San Francisco, Katariina has been volunteering for several organizations, e.g. as a legal professional volunteer at University of California, Hastings College of the Law. Tobias manages the Berlin Office and his core areas of practice are commercial and corporate law as well as M&A. He frequently consults startups, business angels and investors and a particular focus of his is on Finnish-German and German-US legal relations. Tobias is the Chairman of the Finnish-German Trade Guild in Berlin. Jonatan advises clients on matters comprising information technology, outsourcing, intellectual property, data protection and commercial agreements. 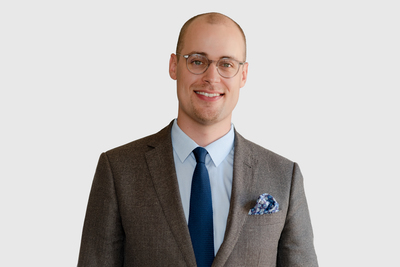 Prior to joining Dottir, Jonatan worked in the Technology, Media & Telecommunications and Intellectual Property practices of major law firms both in Finland and Sweden. Kyösti advises clients on corporate law, M&A, intellectual property rights and commercial agreements. Kyösti has over 24 years of experience in working as an in-house counsel for both public and private equity global corporations, including Valmet, MacGregor, Uponor and Dynea. Kyösti has negotiated and executed more than 100 M&A transactions, on all 6 continents. Before Dottir, Kyösti acted as General Counsel for Dynea Corporation. Kyösti was the Chairman of the Finnish Industrial Lawyers' Association from 2006 to 2010. Daniel advises clients in IT & technology law acting for both technology vendors as well as customers acquiring technology products and services both in the private and public sector. He regularly assists domestic and international companies on a broad range of technology law matters such as IT outsourcing, procurement and delivery of business-critical IT systems and services, cloud services, software and IP licensing, open source, data protection, and gives advise relating to commercial contracts and their negotiations. Daniel is an experienced commercial technology lawyer with broad understanding of the IT-business. 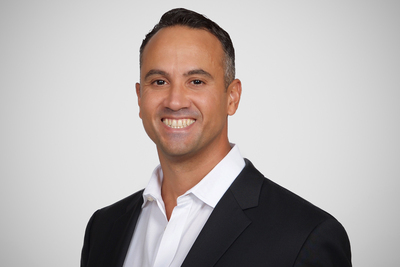 Daniel has over 10 years of experience working in the technology-sector representing both customers and suppliers as an in-house counsel and as an attorney. DanieI has been involved in all kinds of technology related transactions and negotiations, and his approach is highly business- and result oriented. 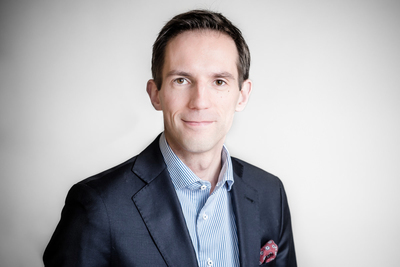 Prior to joining Dottir, Daniel worked as a Senior Legal Counsel at Tieto Corporation, the biggest IT service company in the Nordics. 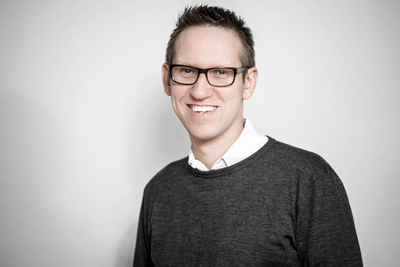 For over 2 years Daniel worked for Tieto Sweden AB and was located in Stockholm. 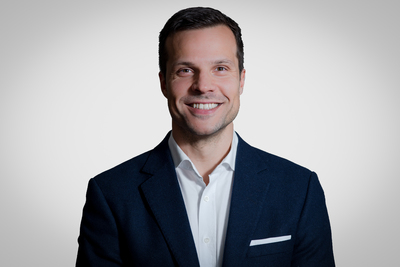 Having lived and worked both in Finland and Sweden Daniel has gained knowledge of two very strong technology focused markets. 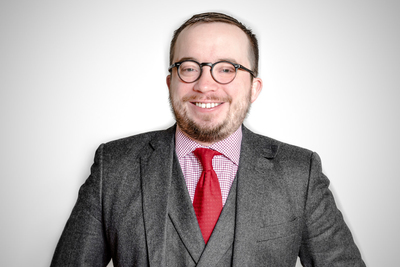 Besides his extensive in-house experience, Daniel has also worked in three major law firms in Finland. Edgar is a corporate attorney qualified to practice law in California, USA. He represents public and private companies in corporate and commercial matters ranging from M&A representation of acquirers and sellers in technology, entertainment and medical sectors to venture and debt financings, as well as commercial, joint venture and IP agreements. Antti advises clients on various corporate and contractual matters, private equity and venture capital investments as well as mergers and acquisitions. Prior to joining Dottir, Antti has worked in a Finnish business law firm and in the Ministry of Justice. In addition to his studies at the University of Turku, Antti has also studied law at University of Kent. Sara advises clients on data protection, intellectual property, marketing and contractual matters. Sara regularly provides practical advice regarding data security and privacy, including advice on the compliance with the EU General Data Protection Regulation. Before Dottir, Sara worked as an in-house lawyer at Fazer, one of Finland's biggest food industry companies. Sara has also worked in the TMT practice of Borenius Attorneys. Maria advises clients mainly on commercial contractual matters, employment law, compliance and dispute resolution. Maria has extensive knowledge and experience about market abuse and anti-money laundering legislation and practices. 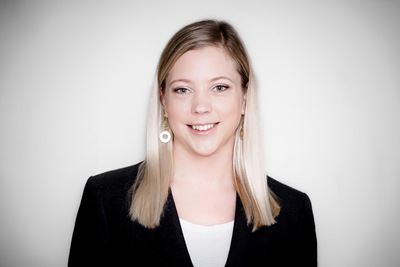 Prior to joining Dottir, Maria has worked as a compliance officer at Danske Bank as well as in the M&A and banking & finance practices of a major Finnish law firm. Maria has also worked as a secondee at listed construction company SRV Oyj. Dottir is an affiliation of independent legal entities and attorneys providing legal services in separate jurisdictions. Each office is established and operates on a local basis in accordance with the laws binding in its home country and state. All services will be delivered according to the individual agreement(s) between individual attorneys or lawyers and the client(s) and all professional liability will be borne by the particular attorney(s) or lawyer(s) engaged with client and no responsibility shall be borne by attorneys or lawyers using the Dottir trademark but not engaged by client. 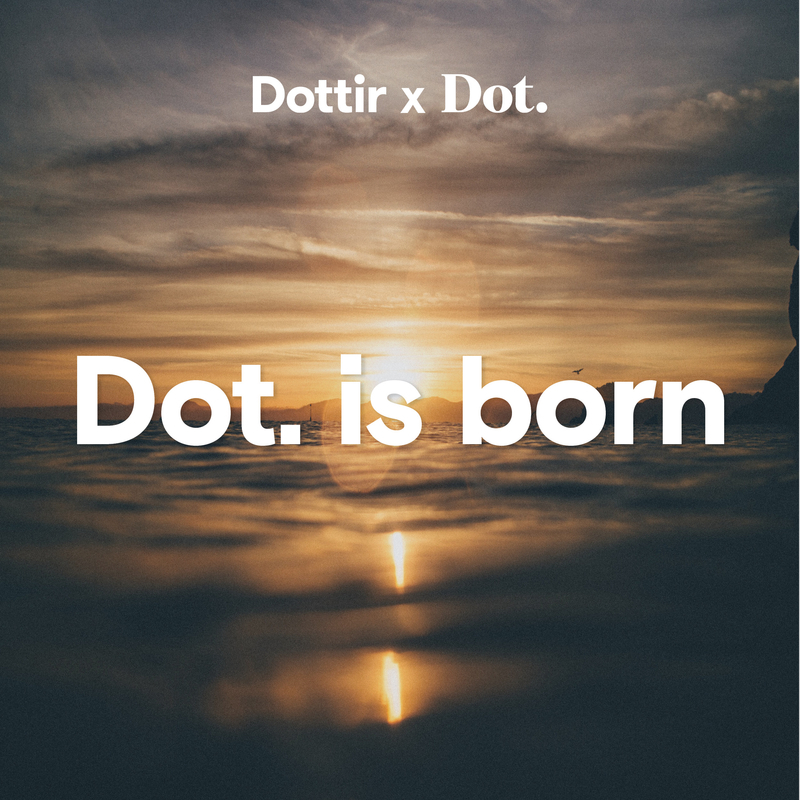 References to “Dottir”, “us”, “team” and “legal practice” are to one or more of the user of the Dottir trademark or to one of their respective affiliates (together “Dottir entity/entities”). 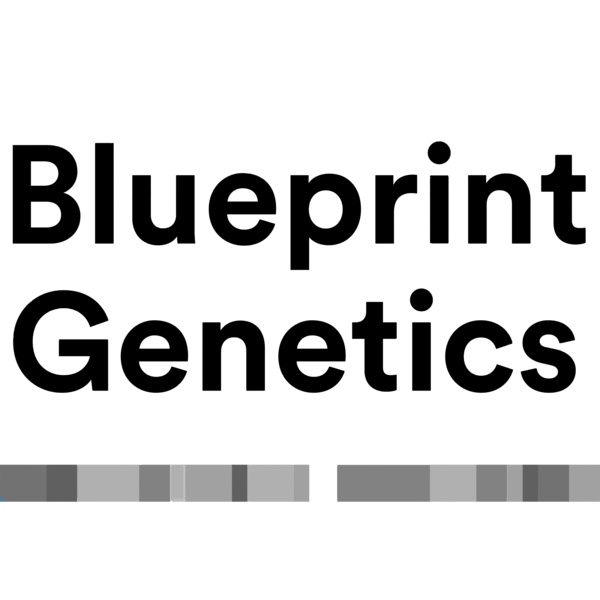 Such terminology does not imply, and shall not be deemed to imply, if not otherwise explicitly stated, that the Dottir attorneys or lawyers are in a legal partnership together, nor that one Dottir entity or attorney or lawyer accepts responsibility for the acts or omissions of another, except to the extent that this is agreed expressly in writing in the terms entered into between the client or other contracting party and the relevant Dottir entity or attorney or lawyer. The information on this site does not constitute legal advice. Any liability in connection with the use of the information or the links contained on this website is excluded. The materials on this website are provided on an ‘as is’ basis, i.e. without any warranties, either expressed or implied. Although we have made efforts to ensure the accuracy of the information provided, we do not promise or guarantee that the information is correct or complete. We reserve the right to modify or remove the materials presented on this website at any time without notice. The providers of the website www.dottirlaw.com and www.dottirlaw.de and the pages on social networks (Facebook) (together the “Dottir Website Content”) is Dottir Attorneys Ltd.
Company name: Dottir Attorneys Ltd / Dottir Asianajotoimisto Oy. Business ID: 2733840-7 (trade register of the Finnish Patent and Registration Office). VAT number: FI27338407. The professional indemnity insurance provider of Dottir Attorneys Ltd is: Pohjola Insurance Ltd; Business ID: 1458359-3; Address: Lapinmäentie 1, FI-00013 Pohjola, Finland; Tel: +358 10 253 1333; www.pohjola.fi. The attorneys (asianajaja) of Dottir Attorneys Ltd are admitted to and members of the Finnish bar. 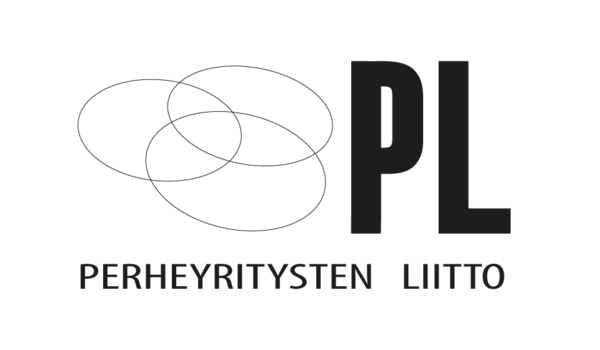 The responsible Bar Association, which also maintains a database of all admitted Finnish attorneys, is Suomen Asianajajaliitto Ry / the Finnish Bar Association. Address: PO Box 194 (Simonkatu 12 B); 00101 Helsinki, Finland; Tel +358 9 6866 120; Fax +358 9 6866 1299; info@asianajajaliitto.fi. Dottir Attorneys is bound to comply with the Code of Conduct of the Finnish Bar Association (please see asianajajaliitto.fi). If you are dissatisfied with a member of the Finnish Bar Association, you may make a written complaint to the Disciplinary Board of the Finnish Bar Association (please see valvontalautakunta.fi). Finnish consumers may refer a dispute to the Finnish Consumer Disputes Board (please see kuluttajariita.fi). Dottir Attorneys Ltd does not accept assignments from consumers prior to a meeting such consumer in person. Tobias Salomon is a lawyer admitted to the bar in the Federal Republic of Germany. These are available at www.brak.de. The data will be stored in anonymized form and will be erased within 6 months. The collected data will not be passed on. To the extent that the website contains links to websites of third parties this privacy statement does not apply to these websites and no responsibility or liability for the content of such websites is accepted. The website uses Google Analytics, a web analytics service provided by Google, Inc. to compile reports on visitor usage and to help us improve our website. For an overview of Google Analytics, please visit http://www.google.com/analytics/. These terms and conditions apply to all services provided by Dottir Attorneys Ltd (“Dottir”), and all assignments and engagements between Dottir and its clients. The clients of Dottir are hereinafter also referred to as “you” and Dottir Attorneys as “we”. Unless otherwise expressly agreed, the terms applicable to the services provided by Dottir are limited solely to these terms and conditions and any additional or different terms and conditions referred to by the client of Dottir are not binding upon Dottir. However, in case of any discrepancies between these terms and conditions and a possible engagement letter entered into with you, the engagement letter shall supersede these terms. Dottir is bound to comply with the code of conduct and rules set out by the Finnish Bar Association. That code of conduct and those rules can be found at www.asianajajaliitto.fi. Prior to accepting an assignment, Dottir performs an internal conflict of interest inquiry in order to identify any conflicts of interest preventing us from representing you. Please note that conflicts of interest may also arise during the course of handling an assignment, whereupon we might be hindered to continue representing you and might be obliged to terminate the assignment. Dottir's services are limited to legal advice only. Any type of financial, commercial, accounting, technical or environmental advice is not a part of our services. Unless otherwise expressly agreed, our services do not include tax advice, and we do not assess potential tax consequences of our advice. The lawyers of Dottir are qualified to provide advice on Finnish law only, and any statements of our lawyers relating to the laws of other jurisdictions shall not be deemed as legal advice, and no liability is assumed by Dottir in respect of any views expressed on foreign laws. Dottir's legal advice and services are always tailored based on the information, instructions and documentation you provide to Dottir in relation to each assignment. Our advice may not be relied upon in any other matter, or for any other purpose than for which our advice was provided for. Dottir designates one of its partners to be primarily responsible for the assignment and chooses the lawyers and other personnel handling the assignment. The agreement for the provision of legal services is made between you and Dottir, not between you and any individual. Without prejudice to your rights to bring claims against Dottir, you agree not to bring any claims against the personnel of Dottir, unless otherwise provided by mandatory law. Dottir is allowed to change the personnel handling the assignment unless expressly otherwise requested by you. If agreed between you and Dottir, external advisors, e.g. foreign lawyers, may be engaged for handling the matter. Dottir is not liable for the cost of using such external assistance and assumes no liability for the services or advice provided by external advisors, irrespective of whether such advisors have been engaged by Dottir. Dottir uses email for communicating with clients. In case you prefer other means of communication, the partner responsible for your assignment shall be notified. In order to ensure that no emails have been blocked by spam filters, you should follow up any urgent and/or important emails by telephone. The fees charged by Dottir are based on the hourly billing rates applicable at the time of the engagement, unless otherwise agreed with you. The total fees may be determined by the time spent on the assignment, the complexity and urgency of the matter, as well as by business interest and the results of the assignment. Any fee estimates given by us are merely indicative, unless otherwise agreed. Unless otherwise agreed, we are entitled to charge reasonable out-of-pocket expenses deemed necessary in order to carry out the assignment, such as travel, governmental, registration and accommodation expenses. In some cases, we may require a retainer to cover our future fees and expenses. The term of payment of our invoices is 7 days from the date of the invoice. Value added tax (VAT) shall be added to our fees in accordance with the applicable tax regulation. Unpaid and overdue payments are subject to penalty interest in accordance with the Finnish Interest Act. You are encouraged to inquire from your insurance company whether your possible legal expenses insurance is applicable for your assignment with us, and whether our fees can be covered by such legal expenses insurance. Please note that we always invoice our clients directly, irrespective of whether our fees can be claimed from an insurance company or from a counterparty in a dispute. All intellectual property rights in the material we generate during the course of the assignment, are retained by Dottir. You have the right to use such materials for the purposes for which they are provided to you. Dottir is obliged under law to identify its clients, the clients’ owners and representatives, as well as determine the origin of its clients’ funds, in accordance with the regulation governing the prevention of money laundering and terrorist financing. We are obliged to report suspicions of money laundering or terrorist financing to the competent authorities and might be obliged to cancel the engagement in case such suspicions arise. Dottir adheres to the rules of the Finnish Bar Association in keeping your information confidential. If we engage external advisors when handling your assignment, we may disclose to them such information and material we consider necessary for the proper handling of your matter. Unless otherwise instructed by you, we are entitled to use the name of your company and a general description of the assignment in submissions to legal directories and offers. However, such references shall be marked as confidential. We may use transactions and similar assignments as public references in our marketing materials and on our website. Such reference use shall only contain information that is already public. We might be obliged to provide information to the tax authorities on your VAT registration number and the value of your purchases from us. We process personal data in accordance with applicable data protection laws for the purposes of, inter alia, handling the assignment, managing client relationships and for marketing purposes as well as for client identification purposes. You are entitled to receive information from us on how we process your personal data and on how to utilize your statutory rights as a data subject. Our liability for the services provided to you shall be limited in accordance with Section 8 below regardless of the terms and conditions of the professional liability insurance. Unless otherwise agreed, Dottir's aggregate maximum liability under any assignment, including the liability of our partners and personnel, for any loss or damage that is caused to our client(s) is limited to EUR 500,000. We might limit our liability for individual parts of the assignment to lower amounts. Without limiting the foregoing, in the event that you have been advised by an advisor other than Dottir in the same matter giving rise to liability, our liability is limited to the maximum liability of the other advisor in case lower than ours, however never lower than EUR 200,000. Dottir is only liable for direct damages incurred by you. Dottir is not liable for any incidental, consequential or other indirect losses or damages, such as lost profits, lost data or lost goodwill. We will reduce our liability to you by any sums you obtain as compensation for the damage or loss incurred by you from any insurance, or from any contract to which you are a party. We are not liable for damage resulting from our advice or documents provided to you if they are used for any other purpose than originally prepared for. Our advice is addressed to and we provide our services to our clients only, and we will not accept any liability in the event that our advice has been relied upon by any party other than the client or, in case any third party has suffered loss or damages for any reason. Any complaints with regard to the services provided by Dottir should be primarily addressed to the partner responsible for your assignment. Dottir and its partners shall not be liable for any damages unless the claim for such damages has been presented in writing to us within 12 months from when you received our advice, or from when the assignment can reasonably be deemed to have been completed, whichever occurs first. If your claim against us is based on a claim against you by a third party or any tax authority or other public authority, we will be entitled to answer and settle such claim on your behalf, provided that you are indemnified by us. If you settle or otherwise take any action relating to such claim without our consent, we shall not have any liability for such claim. If you are compensated by us or our insurers in respect of a claim, you shall assign the right of recourse against third parties to us or our insurers. These terms and conditions apply as of the commencement of your engagement with us, irrespective of a possible later acceptance date of these terms and conditions. You may terminate your engagement with us at any time by providing us with a written notice. We may in some cases be obliged or allowed to terminate our engagement with you under the rules of the Finnish Bar Association. In case of termination or expiry of the agreement between you and Dottir Attorneys, you are obliged to pay our fees for services provided and expenses incurred prior and up to the termination or expiry of your engagement with Dottir. Finnish law, excluding its choice of law rules or principles, will be applicable to the relationship between you and Dottir. Any dispute, controversy or claim arising out of, or relating to this contract or your engagement with Dottir, or the breach, termination or validity thereof, shall be finally settled by arbitration in accordance with the Arbitration Rules of the Finland Chamber of Commerce. The number of arbitrators shall be 1. The seat of arbitration shall be Helsinki, Finland. We reserve the right to bring claims concerning uncontested receivables to the Helsinki District Court or, at our sole discretion to another competent court anywhere in the world. Dottir moves to new premises! Dottir moves to new premises as of 1 January 2018. 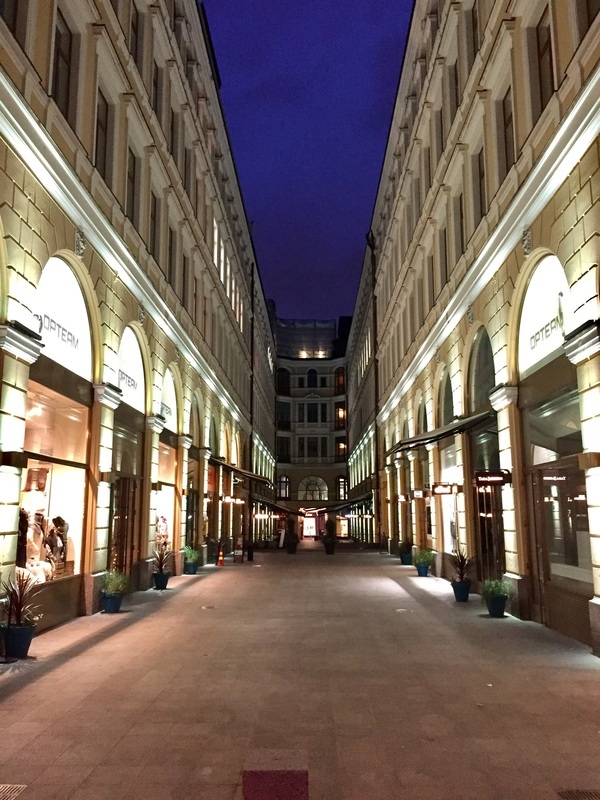 Our new address will be Pohjoisesplanadi 37, Helsinki. On virtual diamonds, ICOs, ALMA and branding, and the future of work.